Five years ago, content marketing was an unfamiliar phrase inside the offices of the charity Share Our Strength. Today, it is central to how it delivers on its mission. During that time, Share Our Strength has developed a comprehensive library of videos, written stories, white papers, and other materials that spotlight its work and raise awareness about the issue of childhood hunger in America. This content is embedded into all of its communications and is shared with a number of outside partners who help the charity reach its intended audience. All of these materials have helped Share Our Strength reach millions with its story and attract new supporters. Its content-marketing program has also helped the charity gain support among companies that support its work through cause marketing efforts, says Clay Dunn, Share Our Strength’s interim chief communications and brand officer. Share Our Strength’s No Kid Hungry in the Summer campaign — which it launched in 2013 in partnership with the Arby’s Foundation — showcases the power of effective content marketing. The campaign aims to put a spotlight on the charity’s mission —ending childhood hunger in America — by focusing on the fact that summer is the hungriest time of the year for many children because they don’t have access to school breakfast and lunch programs that help them during the school year. To do that, the charity has worked with Arby’s to create an array of marketing efforts that aim to inspire people to take action — whether it’s through donating money or food, advocating for Congress to create a summer meals program, or through volunteering. For low-income families that are struggling to afford food, it created a text-messaging service that allows them to quickly find the closest meal site. 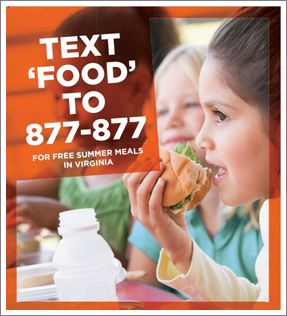 It developed a social-media campaign around the hashtag #savesummer — and provided the public and its corporate partners with an array of sample social media messages that they could use to help spread the word about the problem of summer hunger. It launched a fundraising campaign — spurred by a matching donation by Arby’s. Arby’s also invested in a tour in which it visited summer meals sites around the country to raise awareness about the issue and distributed information and materials. It also piloted a program in which it provided information about the availability of summer meals in Arby’s stores. All of these efforts were built around telling interesting stories about the people who are most affected by the issue of hunger and those who are working to tackle the problem. One such story — a 3-minute video it created to spotlight a Detroit woman who turned her backyard into a summer meals site for children in her neighborhood — drew so much attention that The Today Show ended up profiling the woman. It's Bigger Than Me from No Kid Hungry on Vimeo. 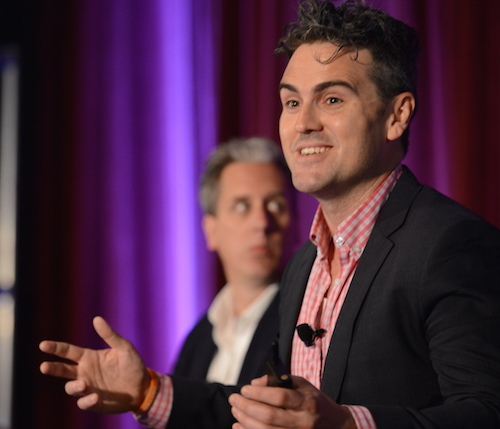 Dunn says Share Our Strength’s content marketing efforts have helped the charity become more valuable its corporate partners — many of whom are looking for ways to tell the story of their good works. By creating its own content library, Share Our Strength gives its partners the opportunity to use that content in their own communications — and it helps the charity reach a wider audience. Compelling written stories, videos, and infographics don’t just appear — they require an investment. And in organizations where resources are tight, it might not be easy to invest in content marketing without first being able to show that the investment will yield results. Share Our Strength cleared this hurdle by securing outside support, Dunn says. The organization included plans to develop some basic content assets as part of a grant proposal it submitted to the Wal-Mart Foundation. This grant support helped get the seed money that was necessary to get started. Many organizations try to employ content marketing strategies without first having valuable, relevant content to share. Before Share Our Strength focused on distribution, it concentrated on building what Dunn calls a library of “foundational stories.” For example, it developed a library of short videos about the organization and the people it helps and worked to make sure all of its stories laddered up to its overall message. Once it had enough original content, it had the raw materials it needed to carry out efforts like its summer campaign. Once you have the right content, you can focus on finding ways to reach your target audience. In the past, nonprofits had to rely on the kindness of others to get public service announcements aired on radio or TV stations, or they had to pitch traditional media for coverage. Today, organizations can employ a number of different channels and techniques — from traditional broadcast and media channels, to social networks, online communications, e-mail marketing, and content partnerships. The most successful content marketing efforts are strategic about which channels they employ. They know which audiences they most want to reach, and tailor their marketing efforts to reach those audiences. Share Our Strength’s content marketing effort is successful, in part, because Dunn says that the organization is willing to let others frame its message in their own voices. Rather than simply producing canned content, Share Our Strength works with its partners to give them the opportunity to use its stories on their terms. To do that, it offers many of its partners the opportunities to use its raw video assets in their own videos. This is especially valuable for its cause-marketing partnerships, since its corporate partners are able to incorporate Share Our Strength’s story into their own communications and marketing efforts.